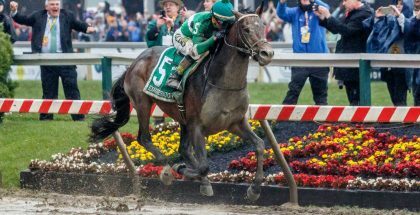 Danzing Candy and Mor Spirit Head Solid Santa Anita Derby Field: Danzing Candy, Mor Spirit and Exaggerator, one, two, three finishers in the Grade II San Felipe Stakes, head an impressive field of 10 sophomores in Saturday’s Grade I, $1 million Santa Anita Derby—a race that has produced 17 Kentucky Derby winners. 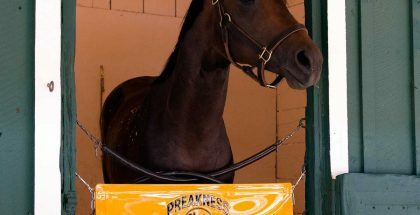 With 170 Kentucky Derby qualifying points at stake, the winner of the 79th Santa Anita Derby will garner 100 points, with the second, third and fourth place finishers receiving 40, 20 and 10 points. DANZING CANDY: Trained by Clifford Sise, this Kentucky-bred colt by Twirling Candy was an emphatic two length winner of the Grade II, 1 1/16 miles San Felipe Stakes on March 12, which was his first stakes engagement and third consecutive win. Blessed with an abundance of natural speed, Danzing Candy followed up a 5 ¾ length allowance score here on Feb. 4 in equally impressive gate to wire fashion at even money. Lightly raced, he has three wins from four starts and the Derby on Saturday will be his third time going a route of ground. Ridden to all three wins by Mike Smith, Danzing Candy was bred by Ted Aroney’s Halo Farms and is owned by Halo Farms, Bashor or Bashor. MOR SPIRIT: Trained by Bob Baffert, who won last year’s Santa Anita Derby with Dortmund and who seeks a record eighth win in Santa Anita’s marquee race for 3-year-olds, this Pennsylvania-bred colt by Eskendereya had a two-race winning streak snapped when second in the San Felipe as the 8-5 favorite, but left many observers thinking that he’s capable of much better. Ridden to victories in the Grade I Los Alamitos Futurity and in the Grade III Robert B. Lewis Stakes by Gary Stevens, Mor Spirit appeared to have plenty left in the tank following the San Felipe and, according to Stevens, who seeks his record 10th Santa Anita Derby win, “He galloped out full of run. He’ll be all business here in the Santa Anita Derby.” Owned by Michael Lund Petersen, Mor Spirit has three wins and three seconds from six lifetime starts. 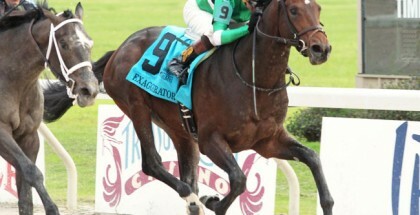 EXAGGERATOR: Trained by Keith Desormeaux and ridden regularly by his younger brother, Kent, this Kentucky-bred colt by Curlin was third, beaten 2 ¾ lengths by Danzing Candy in the March 12 San Felipe Stakes, leaving the elder Desormeaux perplexed at his effort as the second wagering choice at 2-1. “The horse is very talented, yet I still can’t explain why he didn’t finish better,” said Keith Desormeaux. 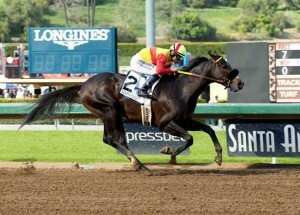 “Even if there’s more speed in the Santa Anita Derby, it doesn’t matter to me. The way my horse ran last time, I hope he does the same thing, except for the finish. 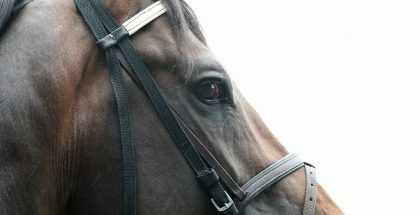 I can’t explain why he didn’t finish (better).” Owned by Big Chief Racing, LLC, Rocker O Ranch and Keith Desormeaux, Exaggerator is 8-3-2-1 overall with earnings of $1,071,120. 3 Danzing Candy 9-5 Smith/Sise, Jr.